Verizon has finally flipped on the Wi-Fi calling switch for its customers, just in time for the holidays. Starting this week, Verizon subscribers using the Samsung Galaxy S6 and Galaxy S6 Edge will be able to make calls over a Wi-Fi connection. Verizon made the announcement in a news release early this month. Wi-Fi calling will be part of Verizon’s advanced calling features, which also include VoLTE HD voice calling and Verizon’s video calling service. The network carrier is the last to hop onto the bandwagon of Wi-Fi calling. The other major networks have been supporting Wi-Fi calling for some time, and AT&T just activated the feature in October for its iPhone subscribers. To allow Verizon Galaxy S6 and Galaxy S6 Edge users to access Wi-Fi calling, Verizon is pushing software upgrades to the devices in phases. These two devices will be the first two to receive the update. Verizon subscribers who use other Android phones and iPhones will have to wait until early next year for the upgrade. If you have already received the system update, you may need to activate the Advanced Calling feature via your phone’s Setting menu, and then enable Wi-Fi Calling. 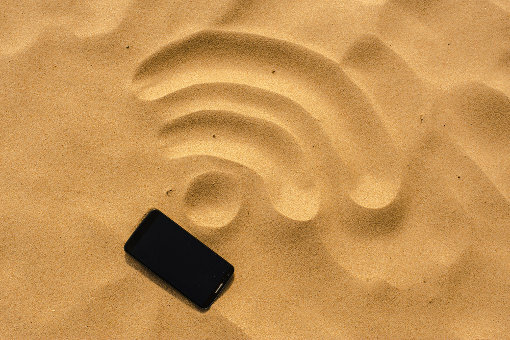 Once you’ve turned on Wi-Fi calling on your phone, you can make free phone calls to any U.S. phone number over a Wi-Fi connection. This means that even if your cell site signal is patchy or entirely out of reach, you can still make calls as long as Wi-Fi is available. You can also make overseas calls, but they’ll be charged at international long distance rates. When a Verizon subscriber uses Advanced Calling through the Verizon 4G LTE network but suddenly loses connection, Verizon said the phone will automatically switch to a known available Wi-Fi hotspot to ensure uninterrupted calls. The mobile network carrier had to push back its launch of Wi-Fi calling to wait for the Federal Communications Commission’s green light to activate Wi-Fi Calling despite a delay implementing teletypewriter or TTY services for the deaf and partially deaf. The network applied for a waiver from the FCC and received approval, as did AT&T.